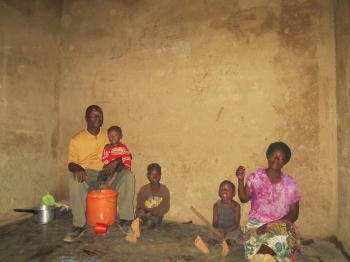 Poverty in Malawi is just about unimaginable for us living in the affluent developed world. Malawi under various rating criteria ranks as the poorest to the 12th poorest country in the world. LifeNets has compassionalty been helping many people there since 1996. We visited with a number of families in Blantyre, Malawi on April 26, 2016. One of those familes is the Isaack Hussein family. They have 10 children and live in a one room house. Twelve people living in one room! They have no way of growing any of their own food. His job pays him $35 a month. Of that about $10 goes for renting their room. 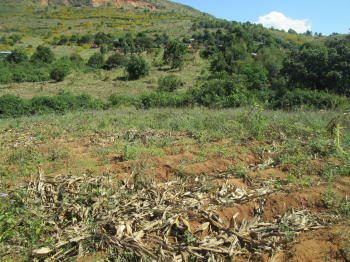 We had to do something and decided that the best course of action was to buy a plot of ground where they can grow their own food and build their own house. 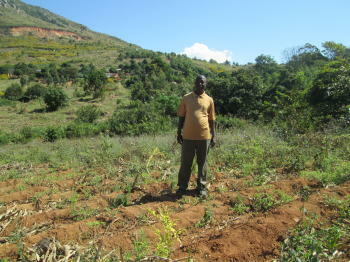 LifeNets assistant business and finance manager in Blantyre Dan Ringo arranged for the purchase of a 1/3 acre piece of land for about $1100 and we are now on our way to help the Hussein family on their way! 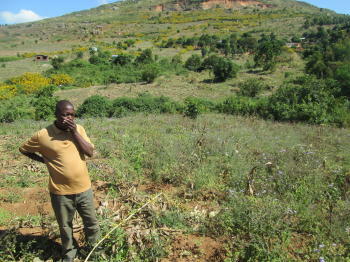 Last week we successfully purchased the land for Hussein family as planned. I visited the family at their current residence, they are living in a one bedroom house, so small for a family of twelve, which also happens to be an extension to a maize mill building hence noisy all day long. The family wrote a letter expressing their gratitude, it was written in our vernacular language. What you have done for us is beyond our imagination. May God who know how to bless, bless you abundantly and give you a long life for caring and listening to our pleas. Every human has needs and we know you have needs too, may the good Lord continue supplying your needs so that you may continue reaching out to many who are needy. 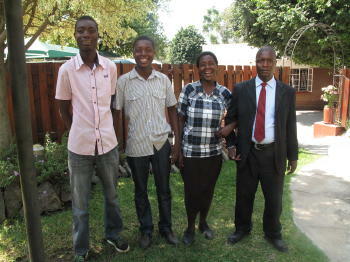 The entire Hussein family is overwhelmed with immeasurable joy, We also thank our local Pastor Mr. Lilongwe for his effort in helping us fetch a good piece of land. On behalf of the entire family with heartfelt joy. Thank you so much, May Almighty bless your entire family.